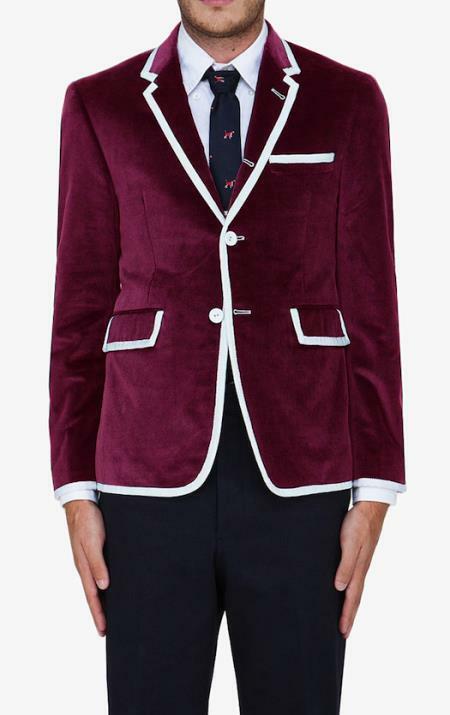 Burgundy is the color that has now become the color of the season. 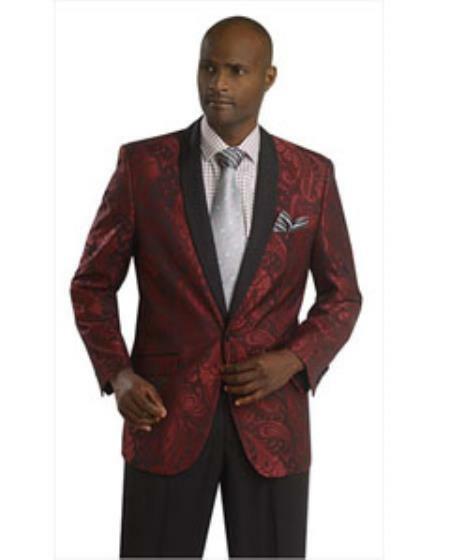 The color is trendy and looks regal, confident, and mature and will suit any skin tone. 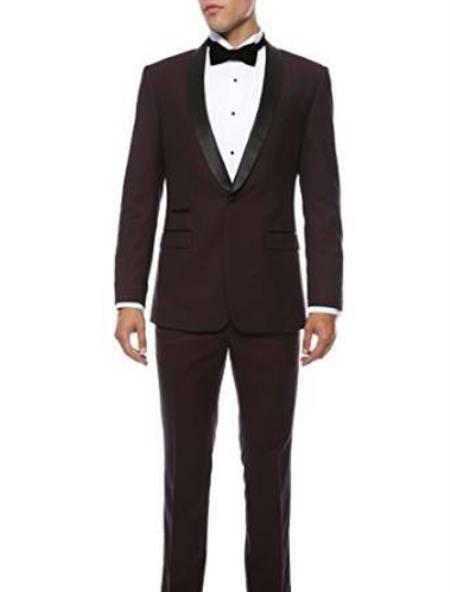 From hair color to the color of suits and dresses, this color has made a mark in the so called trendy world. 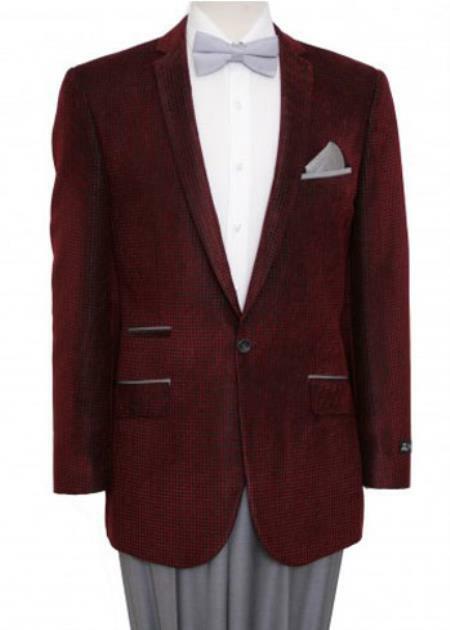 Suit jackets get a modern update with a rich shade of burgundy. 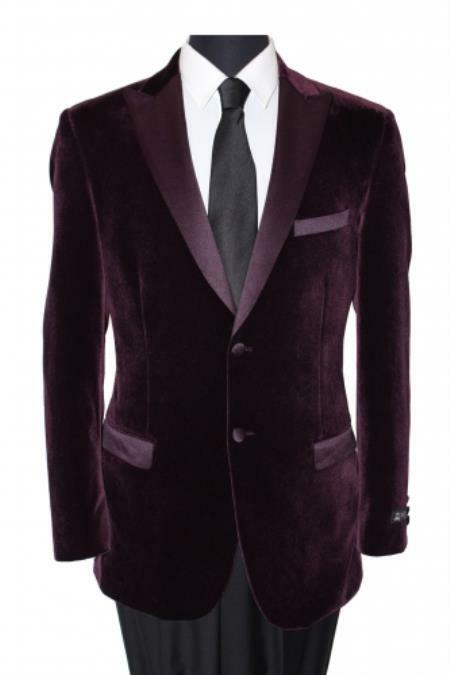 It can be called as an addition to a stylish man's wardrobe. 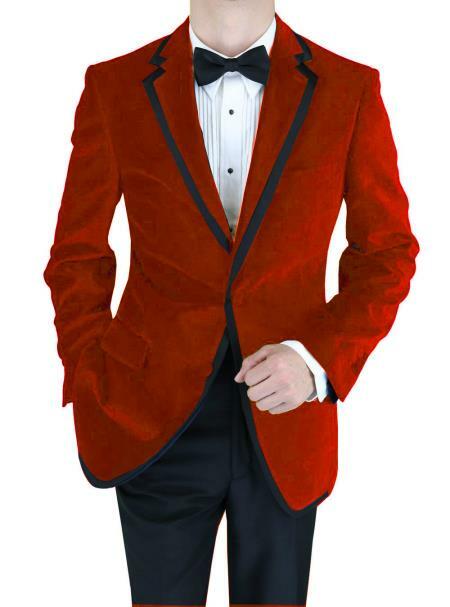 The reputations of such colored suits have certainly been given a lift amongst the modern men. 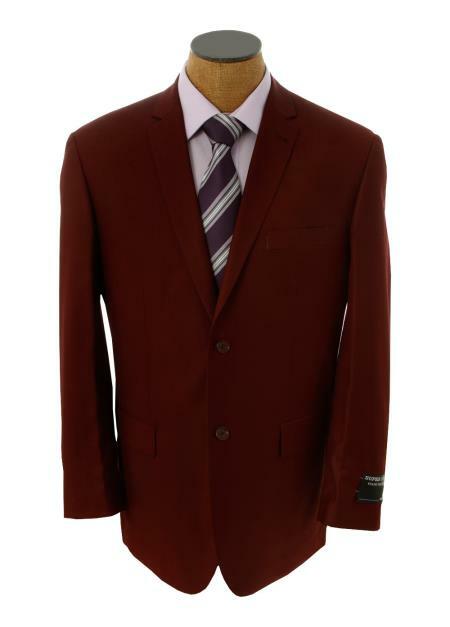 Burgundy suit combinations are often contrasted with other lighter shades of shirts and ties to attract a trendy look. 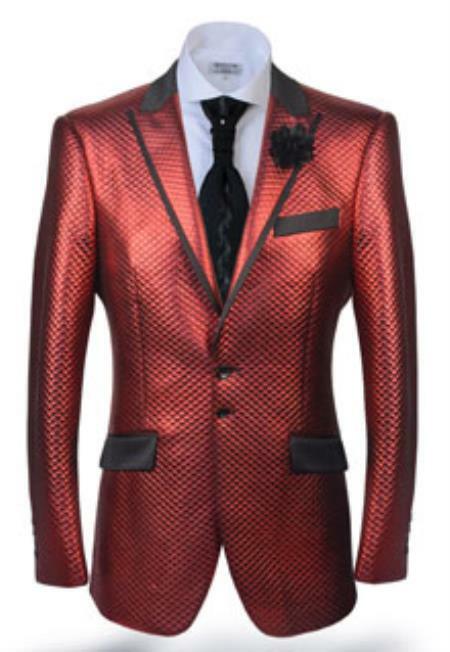 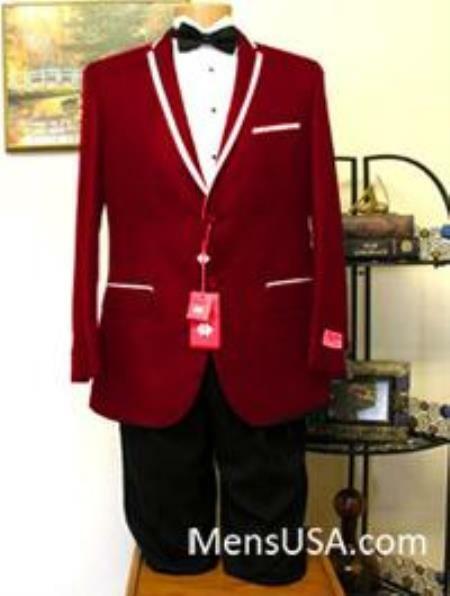 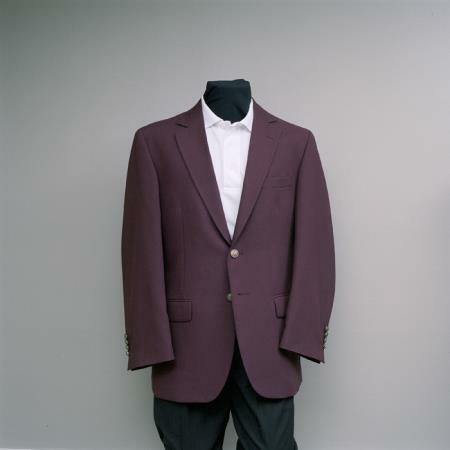 The suit has often been spotted amongst young and modern men, at parties, dinners and night outings. 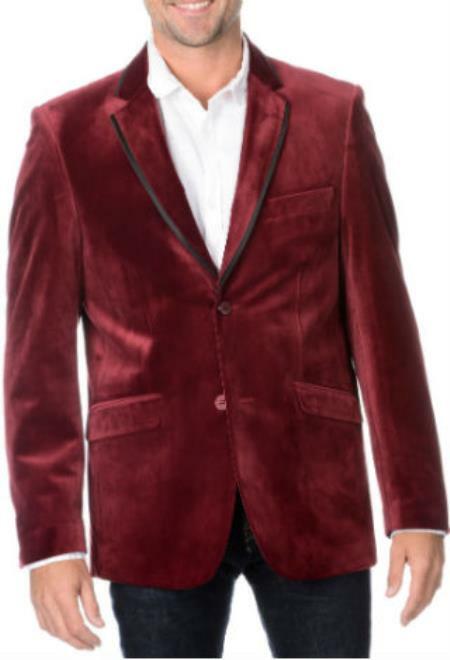 This jacket goes really well with a lighter shaded crisp shirt and a pinstriped tie. 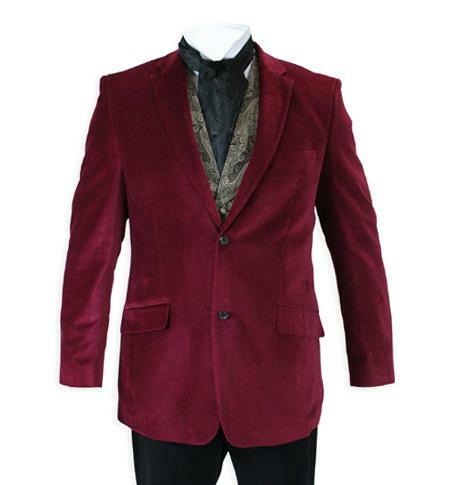 It often reveals a classy image and a sharp formal look when worn at formal gatherings. 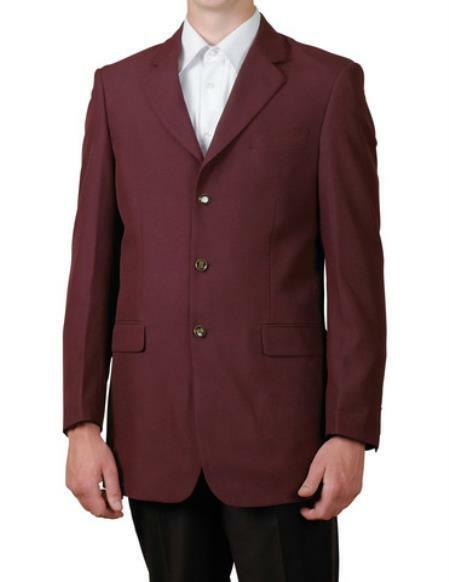 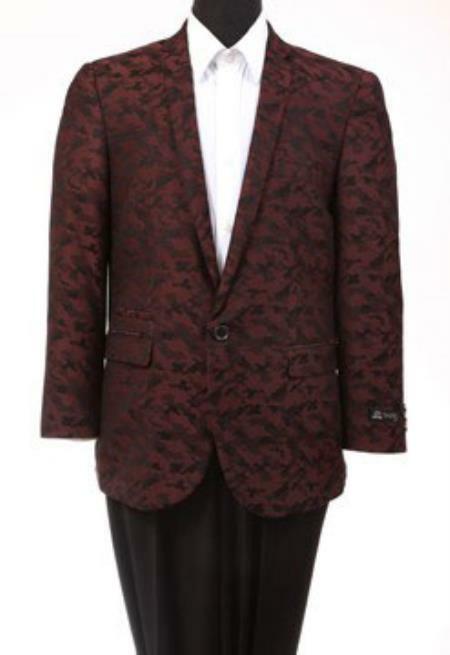 Burgundy jacket with an exact fitting will show a professional office look without appearing dull or boring. 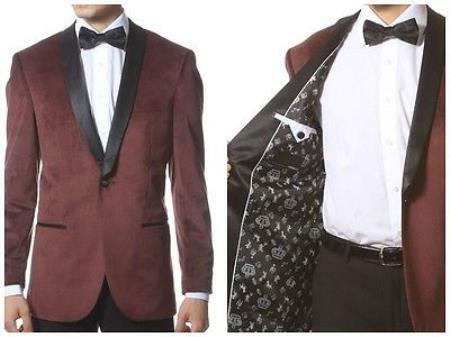 Apart from the trendy and classy appearance, the suit jackets look really good and are sure to stand out from the crowd. 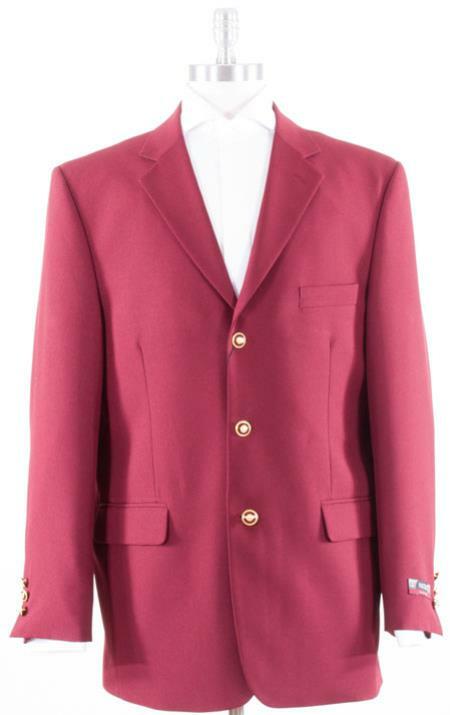 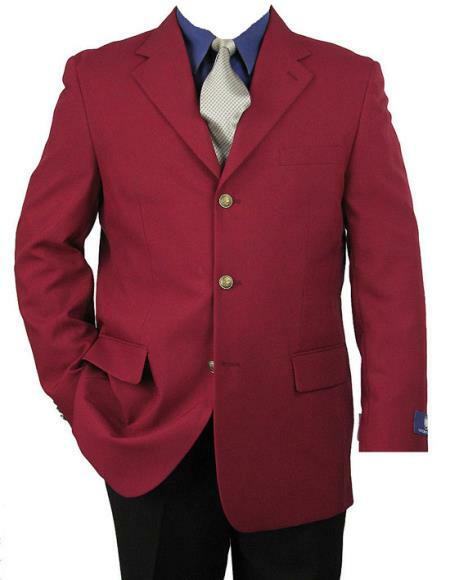 A Burgundy suit jackets fits well with different color shirts. 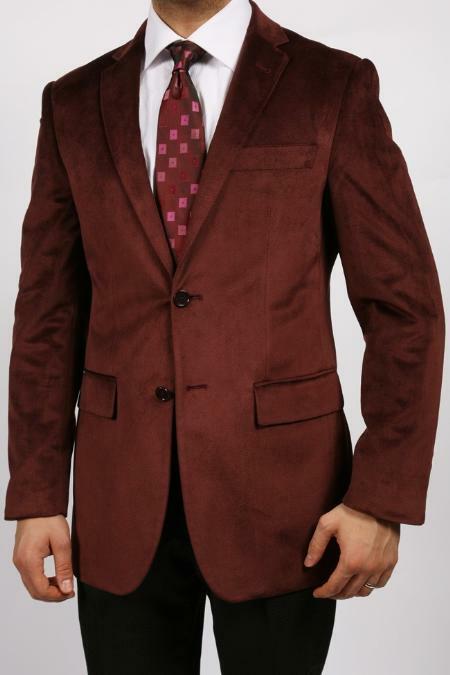 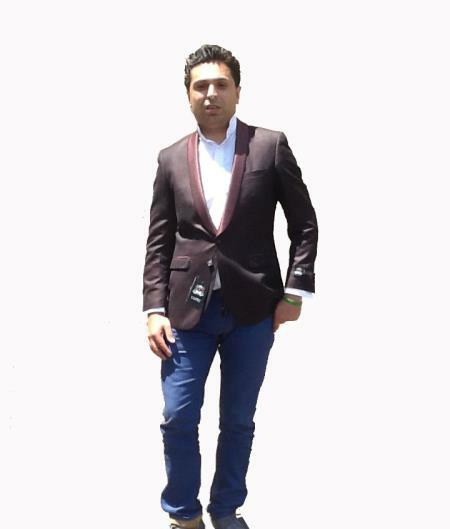 Each time, you wear this suit with a different colored shirt; you could present a completely different look. 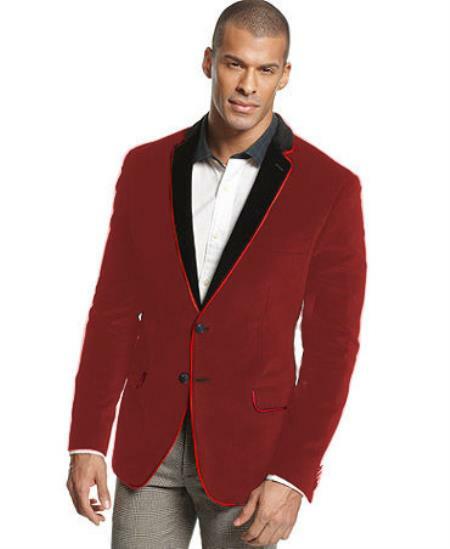 It can give a refreshing appearance once worn with check shirts or shirts with fine or bold stripes. 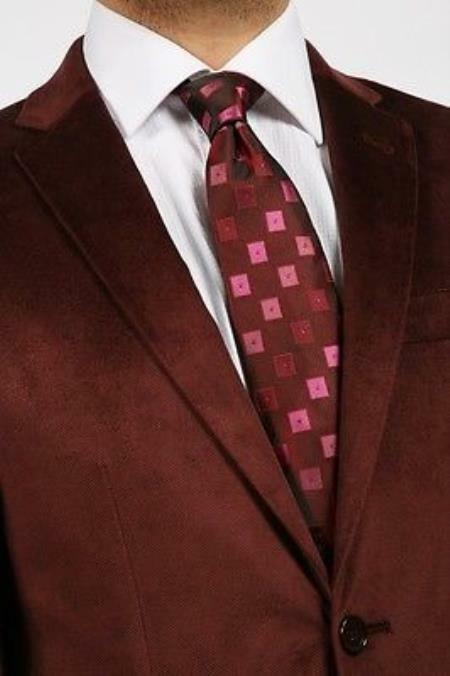 Being dressed in this suit along with a light colored shirt as well as a matching tie shows an authoritative look. 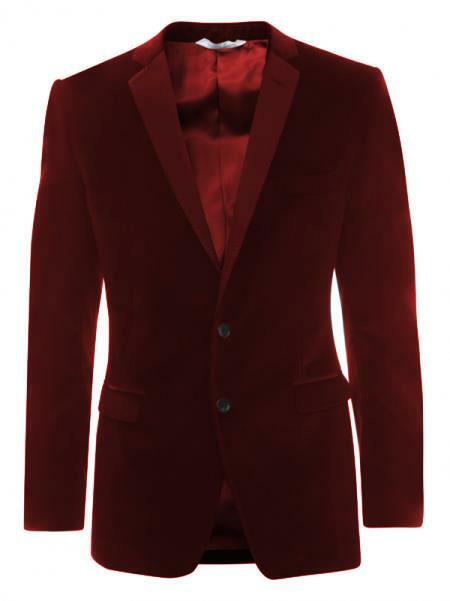 By wearing burgundy men's suits, you could enhance your individuality without appearing too formal. 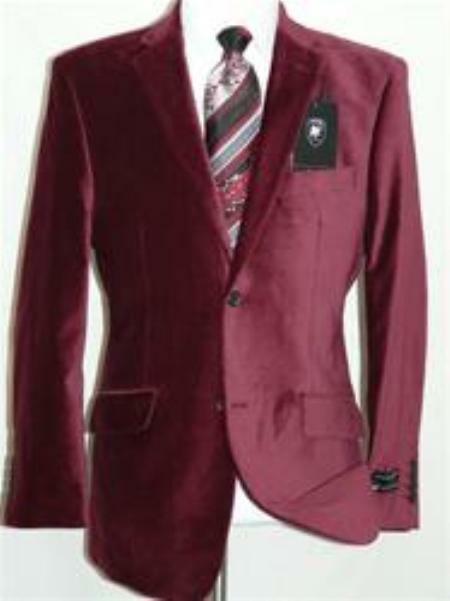 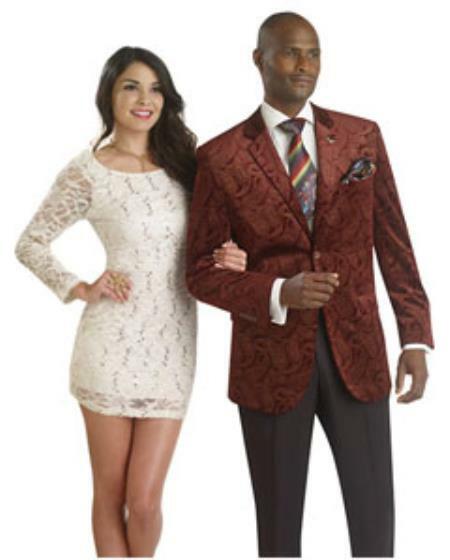 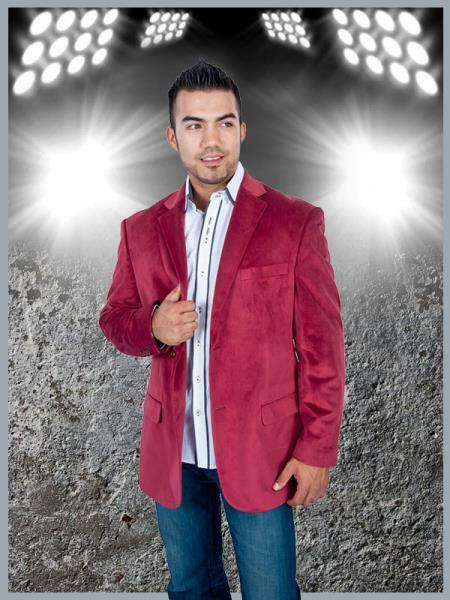 The burgundy jacket should be designed in such a way that it imposes a proper style statement. 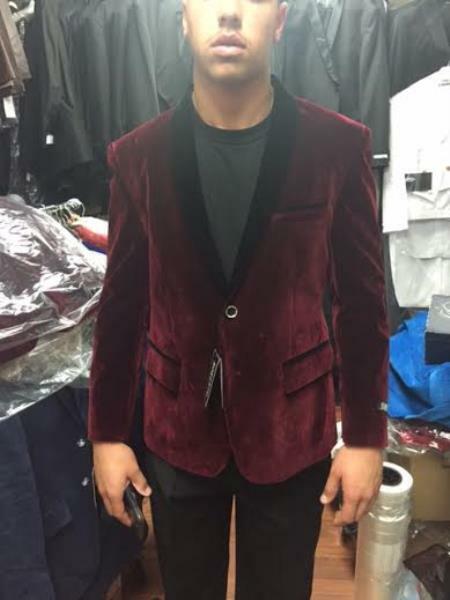 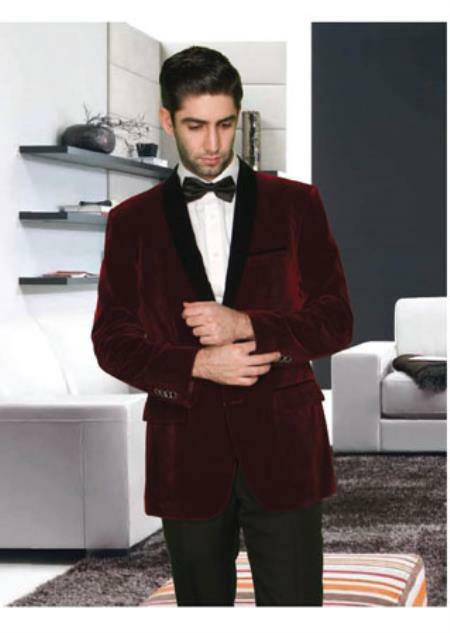 A velvet burgundy jacket looks royal and posh at any grand occasion like weddings. 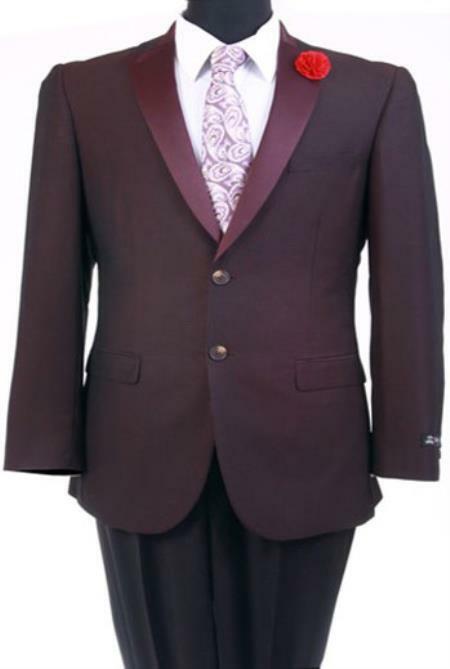 The fabric itself has a shinny and auspicious look, and a suit which is burgundy in color will automatically project a royal look. 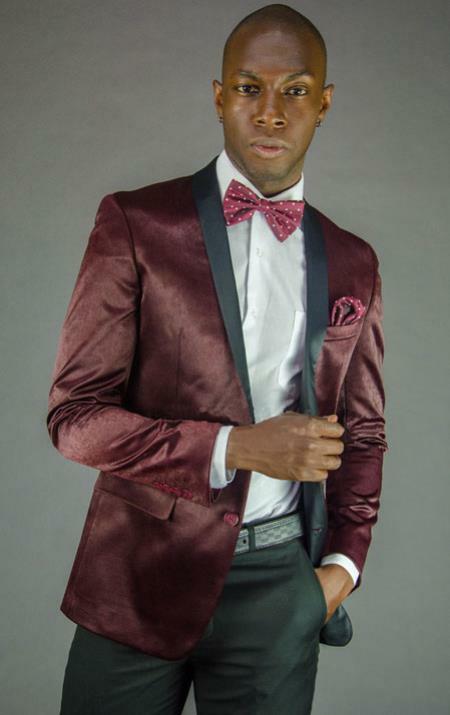 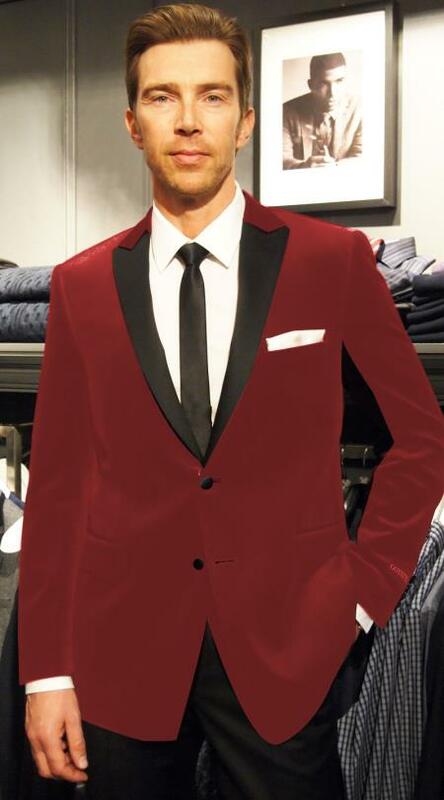 As far as suits are concerned, a burgundy suit is both stylish and versatile and makes a classy fashion appeal.